JohnnieFromTheBlog – Crysis 2, almost awesome! Will this be another historic release from Crytek? Crysis 2 running on the new CryENGINE 3 has expectations set high and I had to buy it! I picked up the Limited Edition at Webhallen for 399SEK. It is no secret that it takes a high performance computer to run graphic settings at Extreme mode but in return Crysis 2 has to be the absolutely prettiest looking game I saw so far. Dynamics and special effects are amazing! While sneaking inside a house I bump in to a floor standing lamp by accident and the light and shadows change. I can smash windows, wreck cars and damage furniture inside houses and I even rough up the vendor machine in the subway. And just when you think that this game is flawless you realize that the people hanging around down in the subway are invulnerable. In fact, they don’t even react as I empty a full clip in the head on one of them. There’s also a few other places where you’d expect things to break but they don’t. The single player story line is cool, game play is fantastic and even though multiplayer mode feels a bit like “the same old” it is still the coolest multiplayer FPS I played so far. 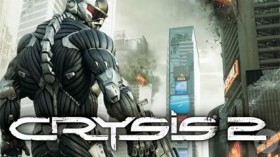 Crysis 2 gives good game value for the money and if you enjoy the genre you should absolutely buy it! However, the few but still very annoying shortcomings which of some I have mentioned, makes Crysis 2 only “almost awesome”.